In Skate or Die! hop on your suped-up board and cruise into the wildest multi-event contest ever dreamed of by man or beast. Three of these twisted trials are cut from the concrete courses of pro competitions. Each pits you head to head with a friend, shooting ramps or racing downhill, while going for rock n' rolls, hand plants, aerials, rail slides and methods! Then blast into "Mad Max on Wheels", dueling to the death with Bionic Lester, the dirtiest dude in the jam and joust. 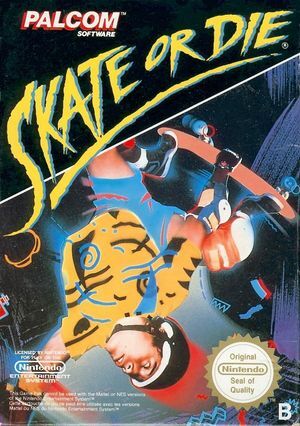 And finally "Skate and Destroy", a challenge that'll turn you into a Samurai skater, karate chopping your way through a tough alley filled with thugs, trash and unmentionable traffic hazards. So squirt a little oil onto your ball bearings, and prepare to Skate or Die! Problems that may occur with any NES title on Dolphin are listed below. 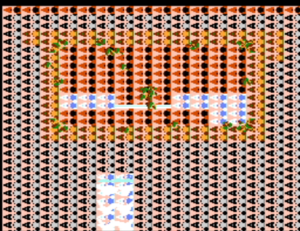 Most NES games suffer strange graphical issues when using the DirectX backend with some graphics drivers; notably NVIDIA. This is a driver bug. As of 5.0-4869, the D3D driver bugs can be worked around by setting Ubershaders to Exclusive. It's unknown what exactly is going on with the driver that's causing Exclusive Ubershaders to work properly. This title does not have any additional game-specific problems. The graph below charts the compatibility with Skate or Die! since Dolphin's 2.0 release, listing revisions only where a compatibility change occurred. This page was last edited on 27 December 2017, at 07:03.